Here is a picture of the Haitian dance group IBO Dance Group. 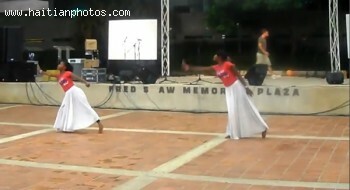 The talented dence organization was performing at Miami Dade College- at the Kendall Campus. The dance was an All Nighter for Haiti 2010.